ourhhh | Our Happy, Healthy Home – Our continual efforts to improve our family through faith, food, and fun. 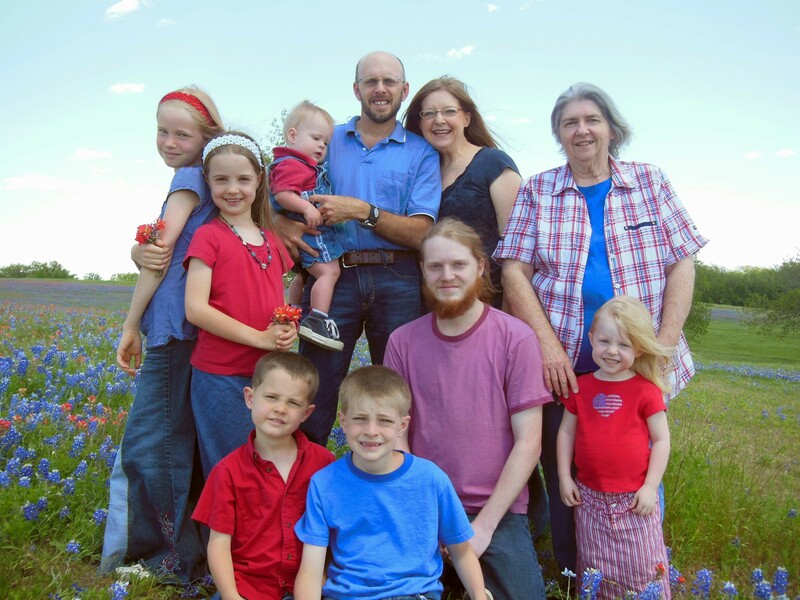 Our Happy, Healthy Home – Our continual efforts to improve our family through faith, food, and fun. I decided to move to a new host, but am having trouble getting subscribers transferred over. Please go to OurHHH.com and subscribe so you don’t miss out on any new posts. You won’t want to miss the giveaway starting tomorrow at noon! 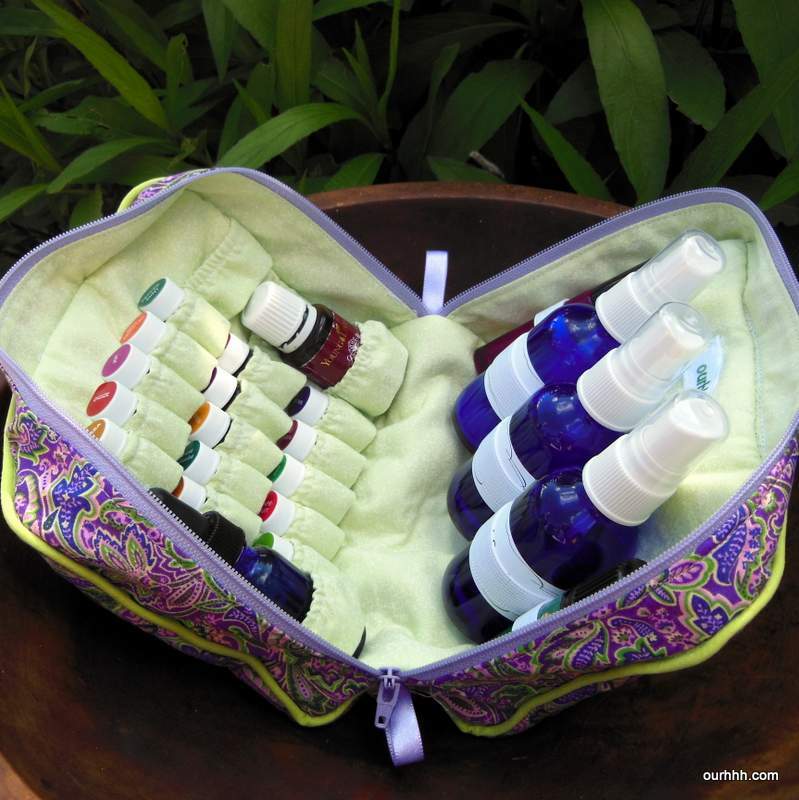 Categories: Uncategorized | Tags: essential oils, first aid kit, giveaway, moving | Permalink. As I read this article on Fox News discussing the outcry over a bill in Connecticut that could remove chocolate milk from public schools, I kept waiting for the rest of the story. The bill was introduced to limit the amount of sodium allowed in school lunches. Because chocolate milk has 60-90 milligrams of added salt it would not be allowed in school lunches. Apparently this has a lot of people really upset. 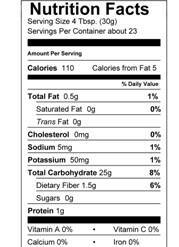 I find it very amusing that no one is concerned with the amount of sugar that is added to chocolate milk. 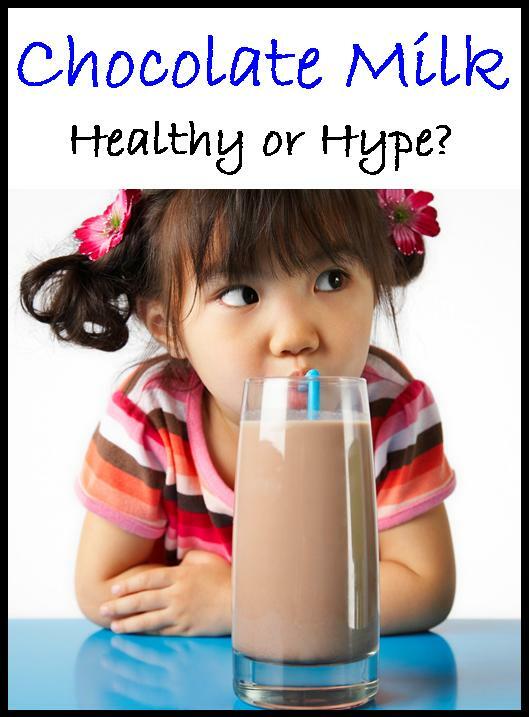 All of the nutrients that are mentioned as a benefit to consuming chocolate milk can be obtained from eating a 6 oz. serving of yogurt with 1/4 cup of sliced apricots while sitting outside for 10-15 minutes during the summer without any added sugar. I know that not all kids like yogurt and that Vitamin D from sun exposure is not possible during the winter months in most of the US. I also know that there are far healthier ways to ensure that children get the vitamins and nutrients that they need without resorting to a highly sweetened beverage that contains almost the entire amount of sugar recommended per day in one serving. It is time that we start to teach truly healthy habits to our children. Trying to “hide” healthy foods in a large serving of sugar is not doing them any good. Focusing on nutrient dense foods and modeling healthy eating habits will go so much further toward raising happy, healthy children. For more information on the health consequences of sugar consumption, check out my post Sweet Temptation. Categories: Healthy Living, Uncategorized | Tags: chocolate milk, healthy living, sugar | Permalink. When we first started eating gluten free, I ran to the store and bought gluten free flour mix, bread, pasta, cookies, and cereal. Talk about sticker shock! I was determined to feed my family the best food I could, but I had no idea what to do about the last two weeks of the month. I had already spent the whole month’s budget on two weeks of food. I didn’t change how we ate, I just spent a fortune buying gluten free replacements. To say my kids were not excited about out new diet is a huge understatement. It didn’t matter how positively I talked about it, there weren’t convinced. Our first day was not encouraging. The kids normally devoured an entire box of cereal for breakfast. When the meal ended and half a box was left and the bowls were not empty, I knew I was in trouble. Sure enough, thirty minutes later the snacking began. Lunch wasn’t any better. No one finished their sandwiches. The “bread” was horrid – crumbly, dry, and tasteless. It was nothing at all like the fresh baked bread they were used to. I was very optimistic about dinner. What could go wrong with spaghetti? I turns out, a lot can go wrong. The noodles were mushy and tasteless. The garlic butter didn’t hide the taste of the bread. I was left with three failed meals, hungry kids, and no money in the budget for food for the rest of the month. After scouring the internet and lots of trial and error, I finally found recipes my family loved and I got the budget under control, but our health still wasn’t where I wanted it to be. My kids still got sick way too often, and I never felt good – just better. If I had stopped to look at the labels, I could have figured out the problem easily. Brown Rice Flour, Tapioca Starch, White Rice Flour, Potato Starch, Sorghum Flour, Arrowroot Starch, Guar Gum, Sweet Rice Flour, Rice Bran. Glycemic Indexes measure how a carb affects our blood sugar levels, namely, its potential for releasing a certain amount of sugar into our blood after each meal. Digestion breaks carbohydrates down into glucose and this causes blood sugar levels to rise. The pancreas, in turn, releases insulin to remove excess blood glucose. Unfortunately, the pancreas often releases too much insulin causing blood sugar levels to drop below fasting levels. When this happens we have Cranky Kid Syndrome. Case studies at our house have shown that adults are not immune to Cranky Kid Syndrome. Studies have also shown that the glycemic index was the strongest and most consistent independent predictor of glycemic stability and variability. If you have already read my posts on Going Against the Grain and Sweet Temptations, you know that we still had a long way to go toward eating healthy. We had taken care of the symptoms of gluten intolerance but had added blood sugar issues. Kind of like two steps forward and one step back. Once my husband’s doctor took him off of all carbs and sweeteners except whole fruit and veggies, I had to find a whole new way to cook. I started by looking for other flour substitutes and discovered the joy of cooking with almond and coconut flour. Almonds have a glycemic index of 15 and coconut flour’s index is 10. That alone is reason enough to switch. The best reason, however, is the taste and texture. Both coconut and almond flours produce moist, soft, incredibly wonderful tasting baked goods. Elana’s Pantry introduced me to the cooking with coconut and almond flours. Her recipes are so yummy and easy to prepare. 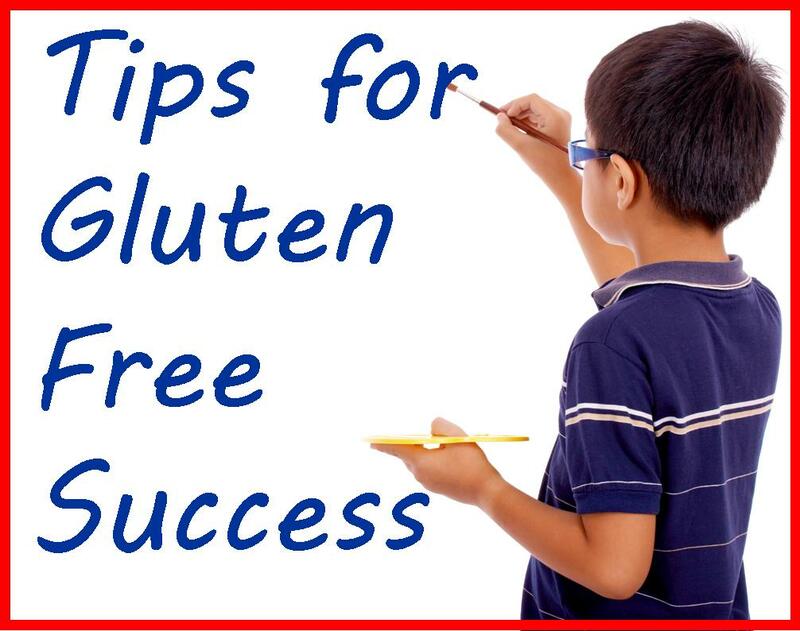 I often am asked how to make gluten free work for families. Here are a few suggestions I hope make the transition easier for everyone. Make a commitment to change for at least a month. It takes time to adjust to new ways of cooking and new foods. Don’t try to make gluten free replacements for your favorite foods for at least a month. They will taste and feel different, and you will probably be disappointed. Try new things each week. Shop at new stores. Sprouts, Natural Grocers, and Whole Foods are obvious, but don’t forget your local Asian and Indian markets. I find prices for almond flour, dates, spices, and noodles are much lower at ethnic markets. Use Pinterest to find recipes. Cookbooks are great, but with the internet you not only see the recipe but also comments from real people who have prepared it. Reading the comments can make the difference between an incredible meal and a disaster. Plan to eat at home as much as possible. Prepare easy to transport meals for when you have to be away from home. Plan ahead for special occasions. We always take treats to birthday parties and get-togethers. Fudging for special occasions will make seeing the benefits of your new diet much hard to see. Categories: Healthy Living, Household, Uncategorized | Tags: gluten-free, healthy living | Permalink. I was so excited to see this interview with Katie Couric discussing the danger with sugar consumption in the United States. Hopefully as more people become aware of the problems associated with sugar, we will see a change in behaviors. 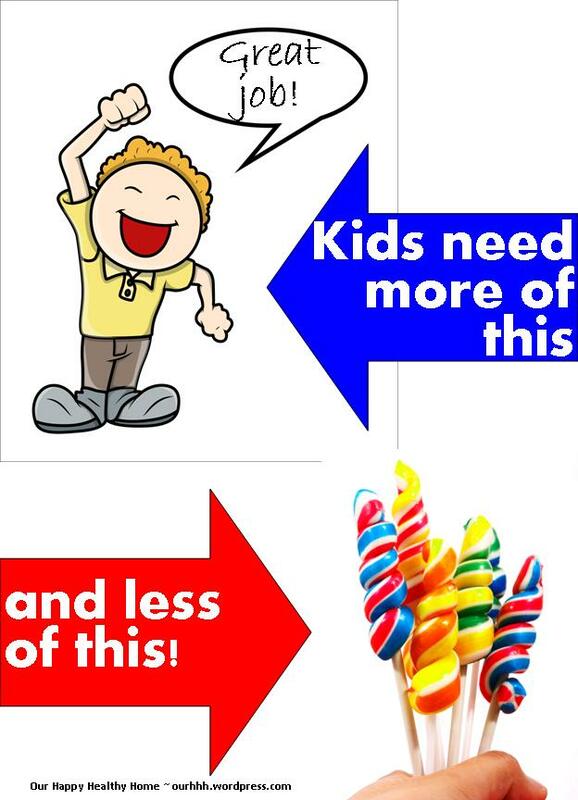 Wouldn’t it be wonderful if candy was not used as a reward for kids at church, school, sports programs, etc? One piece of candy may not seem to be too bad, but one lollipop has 13.21 grams of sugar. Even if that is the only sugar a child consumes in a day, it still exceeds the WHO guidelines for children. One lollipop! You can find more information about the health risks associated with sugar consumption in my post Sweet Temptation. Categories: Healthy Living, Sugar Detox | Tags: candy, healthy living, kids, sodas, sugar | Permalink. 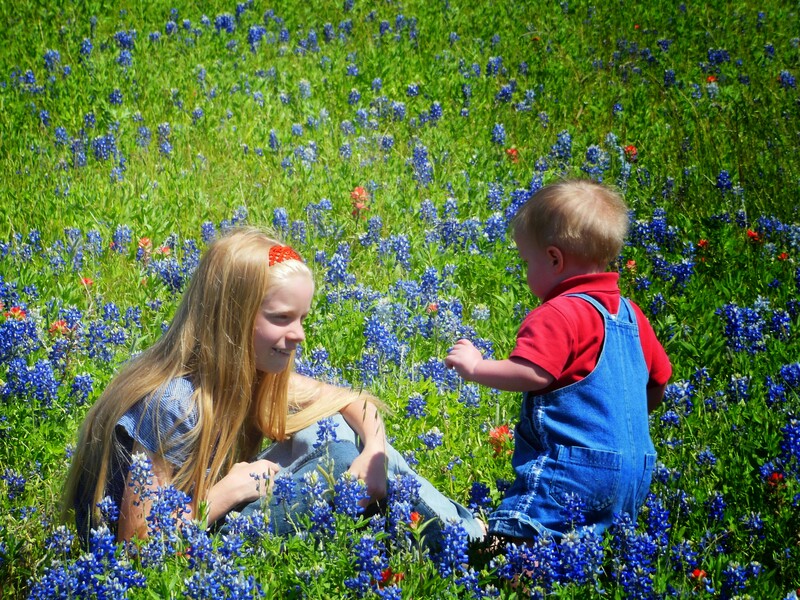 On Friday our whole household loaded up in the van to go to the Bluebonnet Trail in Ennis. 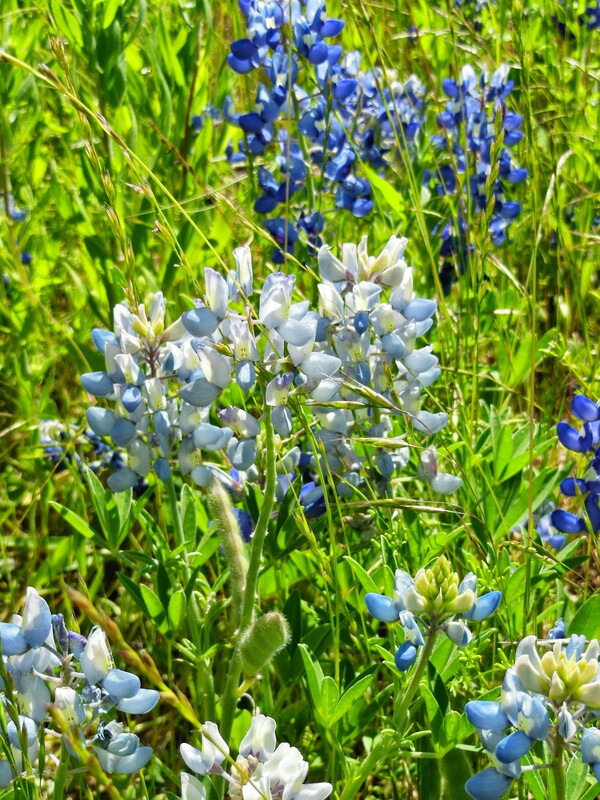 Even though it was late in the season, the bluebonnets were beautiful. The real fun started when we got ready to take a family photo. We had never even attempted a photo of all ten of us at once. To add to the excitement, I had never used the timer on my camera or the tripod before. The first three attempts I didn’t get the timer set properly, and the natives were getting restless! On the fourth attempt, we had sweet success. Everyone was looking in the general direction of the camera with their eyes open and pleasant expressions. By the time we finished with this picture, the sniffling, sneezing, and watery eyes had started in full force. 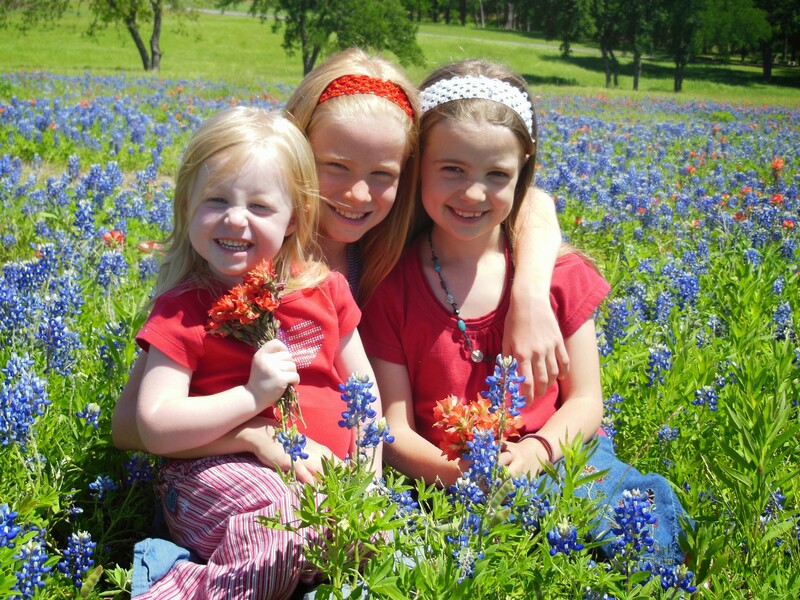 Apparently, several of us are allergic to bluebonnets or something else blooming nearby. I was so glad I had brought my Young Living Essential OIls, because I wanted to get more pictures. I put some lavender on the bridge of everyone who was suffering’s nose, and the symptoms stopped. Yay! I was able to get some more adorable shots. 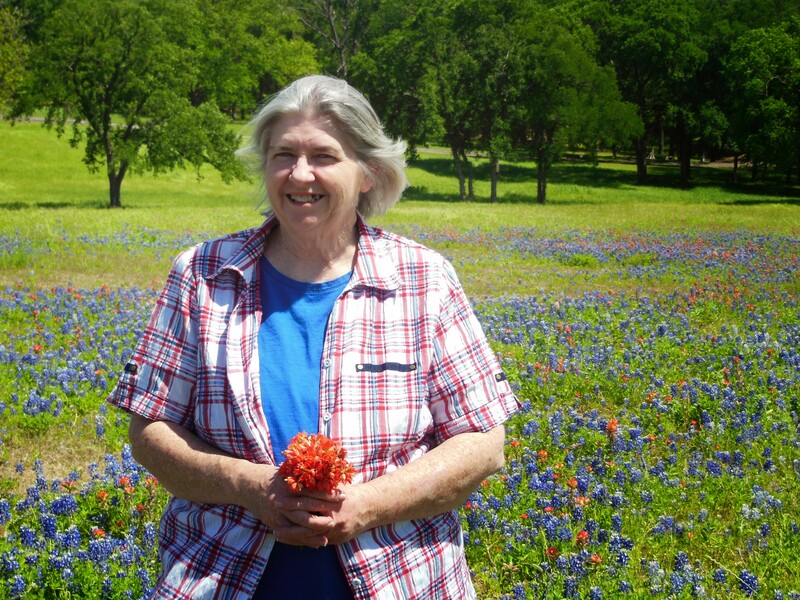 Here in Texas the weather is great and the flowers are blooming, so grab your camera and go capture some memories. Don’t forget to put some Young Living Essential Oils in your camera bag to make the photo shoot more fun. We used Lavender to take care of itchy, watery eyes, sneezing, runny noses, and scrape. When we noticed that Annie was playing in a patch of poison oak in her sandals, we quickly grabbed the wipes I made with Lavender and Melaleuca Alternifolia and then applied Purification. One uncomfortable, itchy rash avoided. Yay! I also used Purification on the bites I got from stepping in an ant pile trying to get the perfect shot. There was no sign of any bites by the time I got home. 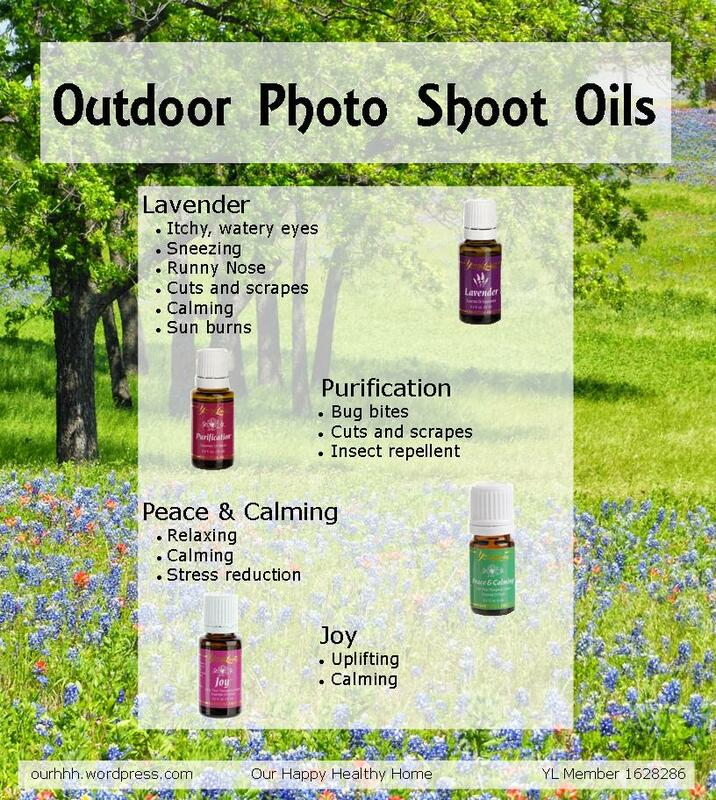 Don’t forget these essential oils to make your outdoor photo shoot a success. 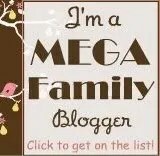 Categories: Essential Oils, Family, Uncategorized | Tags: allergies, ant bites, essential oils, family photos, lavender, memories, purification | Permalink. In a culture obsessed by antibacterial soaps and antibiotics, knowing that there are 100 trillion bacteria in your digestive system that perform a critical role in preventing disease may be surprising. and maintaining the GI barrier. One of the most important functions of our GI system is to prevent foreign substances for entering the bloodstream. Without an intact GI barrier, incompletely digested proteins and fats and waste products are allowed to enter the bloodstream. These particles trigger an autoimmune response that can contribute to a myriad of health concerns. So, what do we need to do to have a healthy gut? Categories: Family, Healthy Living | Tags: adhd, autoimmune conditions, depression, food sensitivities, gut permeability, leaky gut, probiotics | Permalink. While I love taking care of my family, there are times that the stress of being mom, chauffeur, doctor, confidant, chef, maid, school teacher, etc. starts to get the best of me. Patience becomes a memory, encouragement becomes a dream, and peace evaporates in our household. It is ugly! I don’t even want to be around myself. Over the years I have learned that I have to be creative on a regular basis to keep for loosing my mind. I always have a small project in my purse for waiting rooms. Those are nice, but sometimes I just need something more substantial. My solution is usually a sewing day or two. I love to sew. I’m not even picky about what I am sewing, as long as I am creating something new. Mending is a whole other story. Yuck!!! Two years I decided I wanted to make a quilt for each of my kids for their birthdays. My husband has some beautiful quilts from his grandmothers that he cherishes. I wanted to make something my kids could keep, not wear out or outgrow. It sounded like a great idea. If Scott’s grandmothers could make quilts for all the grandkids, surely I could make one for each of our kids. Well, I forgot to take a few things into account. One, I was pregnant with our seventh child. Two, I had six children at home to care for. Three, we homeschool. I’m sure there are more, but that gives you the idea. Now that I think about it, Scott’s grandmothers made quilts after their kids were grown and on their own. I should have noticed that since they made quilts for the “grandkids.” Not being one to give up even when I should, I started sewing. I am so glad that I did. 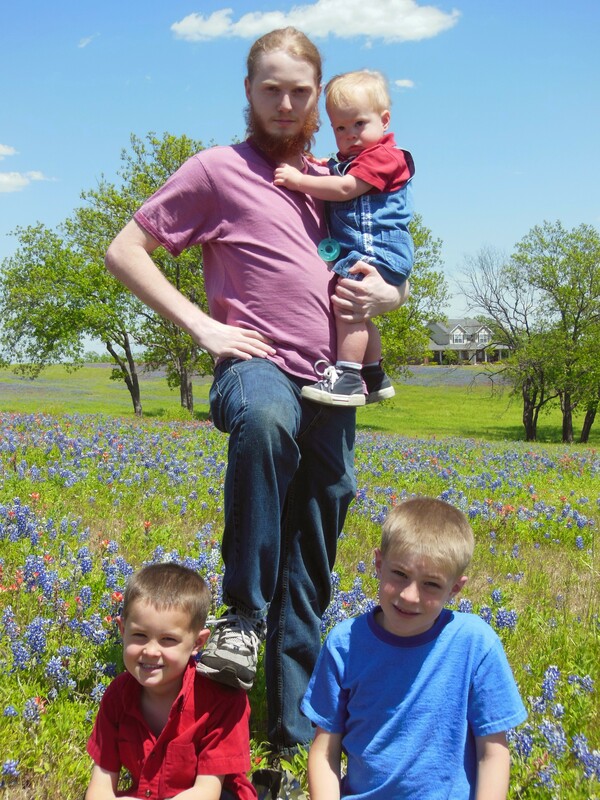 I had to juggle my time a lot, but my stress level was much lower during the pregnancy. I didn’t get all the quilts made for last year’s birthdays, but I did finish three. This year I am hoping to finish the rest. This is the first quilt I finished. I love it because I was able to incorporate appliques from Scott’s mom’s dress, and fabric from my dad’s shirts. Being able to wrap our new baby in a quilt that I made was so special. 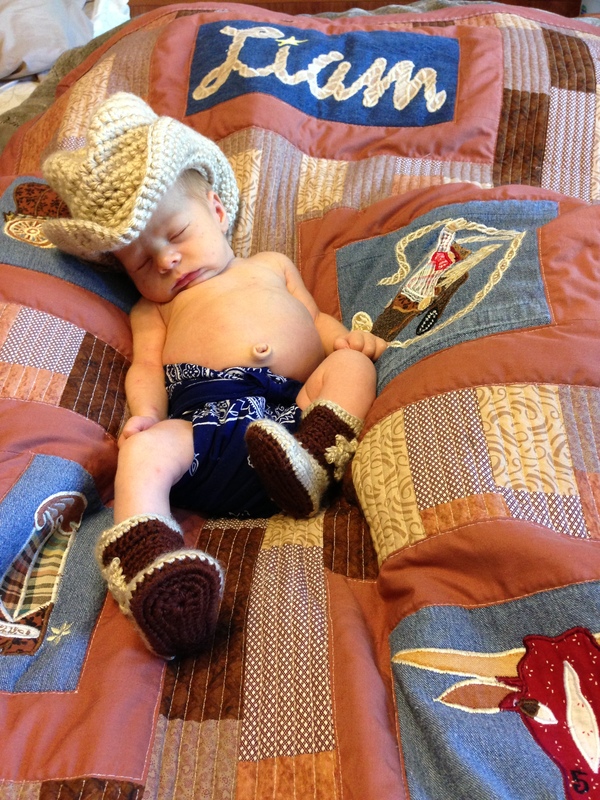 The hat and boots were my “purse projects” during my pregnancy. I spent a lot of time in waiting rooms, so they were easy to finish. Categories: Crafts, Family, Quilting, Self | Tags: family, keepsakes, quilts, sewing, stress | Permalink.